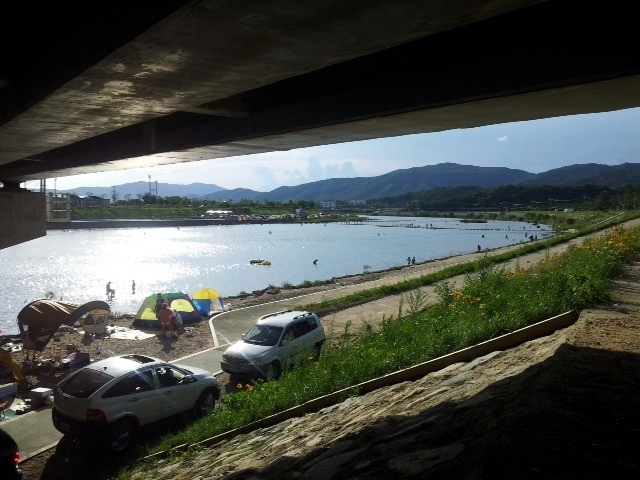 Dispatches From Gangwon: Happy Liberation Day! 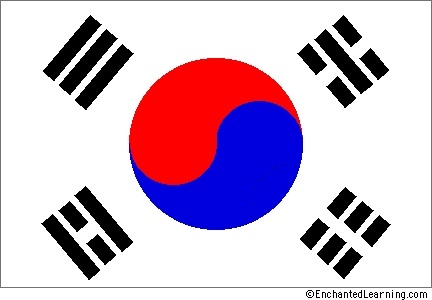 We got off school because 15 August is Liberation Day (광복절), the day of independence from Japanese rule on this day in 1945. Liberation Day coincided with the end of World War II in the Pacific; Japan's reign over Korea ended when the Japan surrendered to the Allies then. 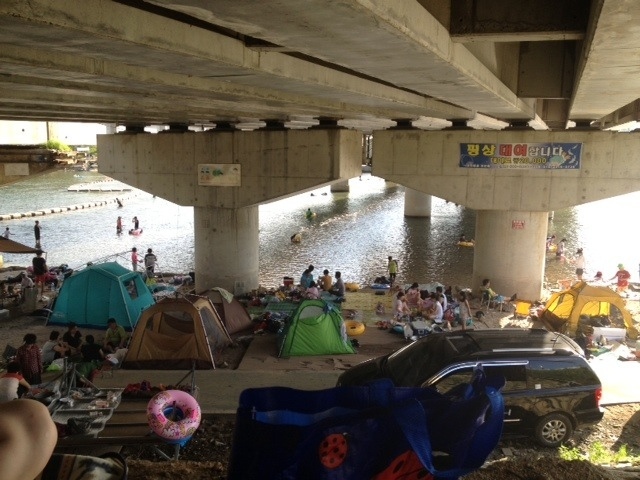 We celebrated by going down to the Hwa River and picnicking under the a bridge. 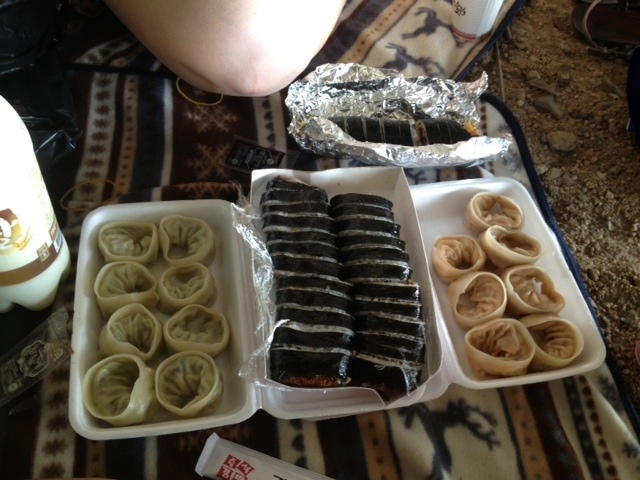 Left to right: Meat mandu, donkasseu kimbap, and kimchi mandu. Donkasseu kimbap is so named for the pork cutlet (donkasseu) inside the rice and seaweed roll. The shady areas were crowded, so we moved up and got a good view of the action. 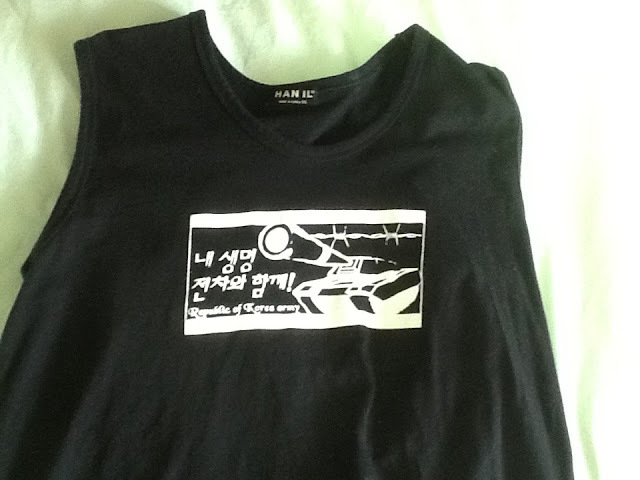 The Korean army shirt I bought shortly after arriving here. 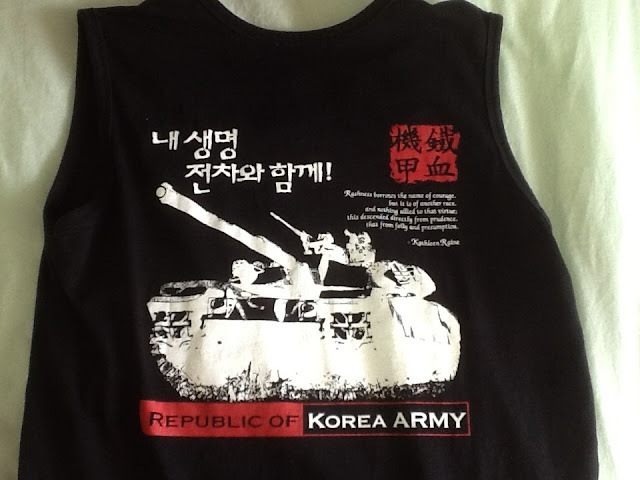 I wore it in honor of Liberation Day. Google translate: "Train with my life"